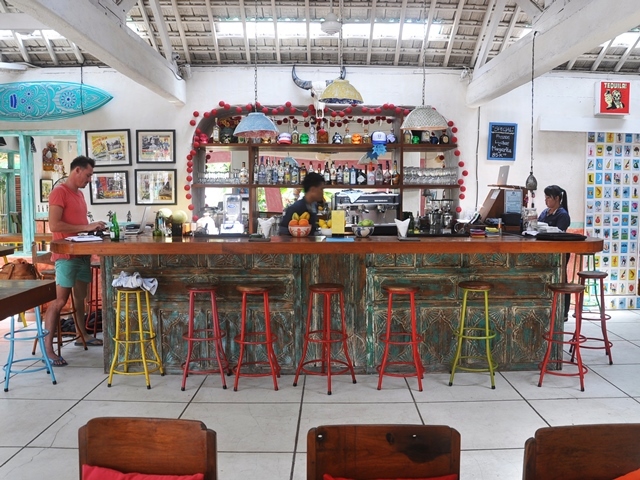 7 Wonderful TAPAS BARS In BALI You Wouldn’t Want To Miss! 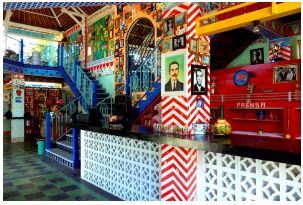 HomeArticleBali 7 Wonderful TAPAS BARS In BALI You Wouldn’t Want To Miss! e list of fantastic tapas bars below. This place is Bali in a nut-shell. Breathtaking views, good vibes, vibrant colors, and last but not least, mouthwatering tapas selection. This is one of the best spots to spoil both your eyes and your tongue. And oh, here’s one useful tip, kick off your weekend every Friday with their DJ performance! Dare yourself to enter this gothic yet exotic venue. Ornaments that you can see all over the place are bizarrely alluring. 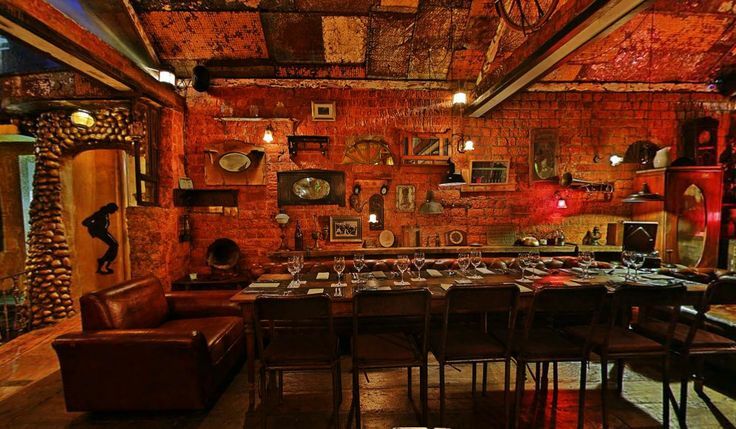 They have successfully created something that everyone else in Bali hasn’t done before, combining vintage industrial vibes with the old-fashioned Mexican atmosphere. Their Tuna Carpaccio (Rp. 80.000) is superb! We know, we know. 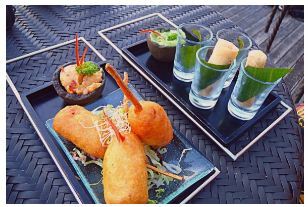 The trend of Mexican tapas bars has been significantly increasing in Bali over the past few years. That’s something to be excited for! They are always exotic, fascinating, and vibrant. This place is a strong example. 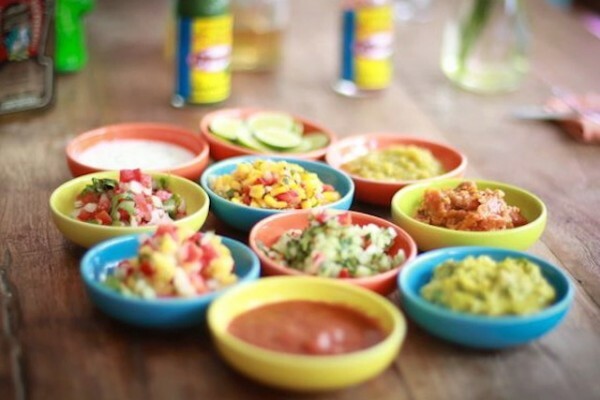 Their taco selection is something you wouldn’t wanna miss, especially looking at how mouthwatering and fresh the salsa and guacamole are! Now let’s move on to a fancier one. You’ll love this minimalist space with strong tropical vibes. The indoor space itself is quite spacious, and the outdoor space is totally something. 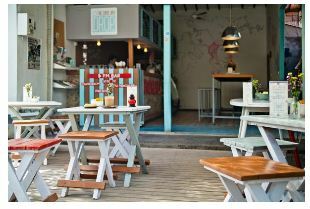 Spend your weekend chilling here surrounded by palm trees and make it a lovely one by having their BBQ Octopus! You can taste perfection in every bite of it. Unique both in appearance and taste. Close your eyes and imagine you’re at the top of a cliff. Overlooking the beautiful blue ocean. Sitting on a comfy bean bag, by the pool, accompanied by a glass of refreshing sangria in your hands and one or two plates of your favorite tapas. Never underestimate the power of this lifelong imagination of yours, because it all can be made true at this spot. And oh, for your tapas, we would recommend Chistorra a la Brasa (Rp. 85.000), which is a plate of heavenly grilled Spanish chorizo sausages. This is the venue where the combination of 3B’s gets along well with each other. Beers, bros, and band. Feel free to chug down big glasses of Bintang while seeing an unforgettable band performance and having a heart-to-heart talk with your bros here. And while you’re at it, don’t forget to spice it up with their delicious Spicy Meat Brochettes (Rp. 65.000). Only by looking at the picture above, you’d know everything about this spot. 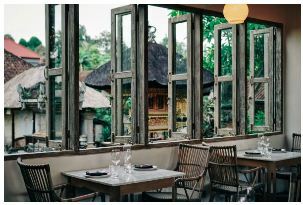 A sophisticated open space with bamboo structure all over, combined with lush gardens and wooden chairs that give a sense of home, provides a gorgeous setting to enjoy your favorite authentic tapas. One of our favorites would be the mix salad as seen above, featuring fresh avocados and grilled beets, topped with fresh feta cheese. Psst, everything here costs under Rp. 100.000 only! 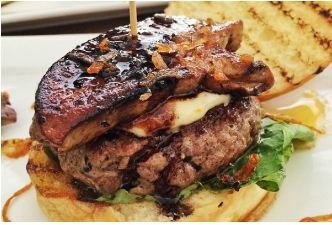 The post 7 Wonderful TAPAS BARS In BALI You Wouldn’t Want To Miss! appeared first on Qraved Journal.